Mark Starmach and myself were the only Australian team to be shortlisted in 3 categories (film, digital and print) in the 2015 Cannes Young Lions competition. After shitting several bricks about this, we were tasked with creating a campaign to celebrate the 30th anniversary of the Murdoch Children’s Research Institute and drive donations. The insight we ran with is that MCRI’s 30th birthday is also a celebration of all the extra birthdays the Institute has given to children around the world through lifesaving medical research. 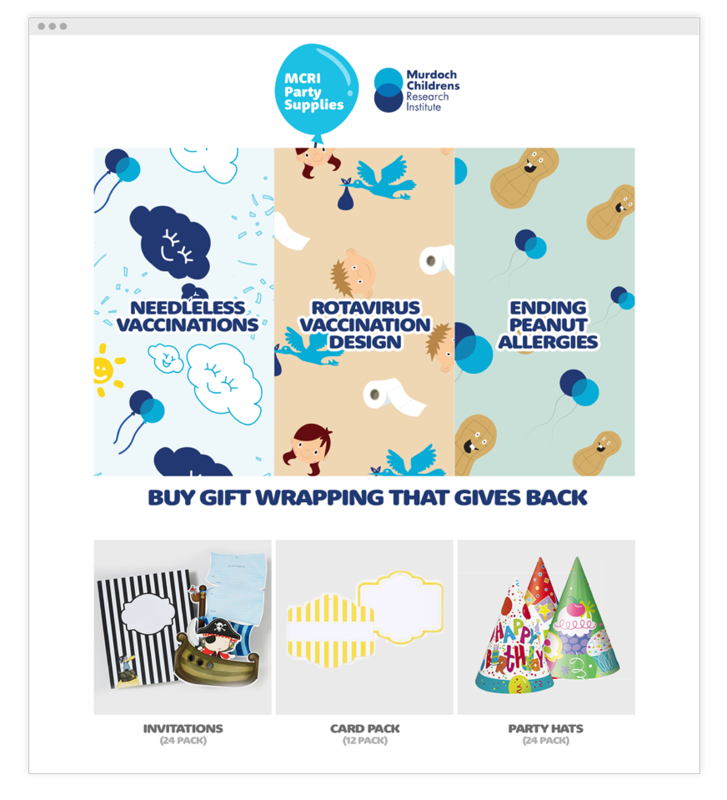 Off this, we created an integrated campaign which used News Limited print and digital brands to sell MCRI branded birthday supplies in exchange for a donation. 1. 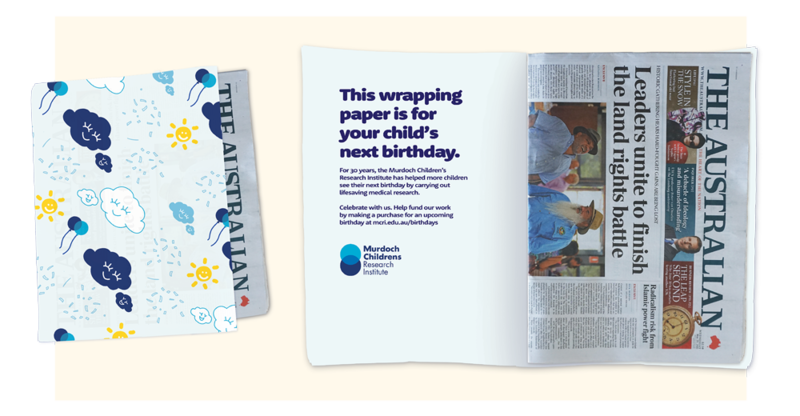 We create a wrapping paper wrap-around for News Corp mastheads and community papers. 2. Our message is printed on the reverse side of the wrap-around. 3. Readers can visit an online store to purchase more wrapping paper (and other party supplies) to print at home. All proceeds go to the MCRI.